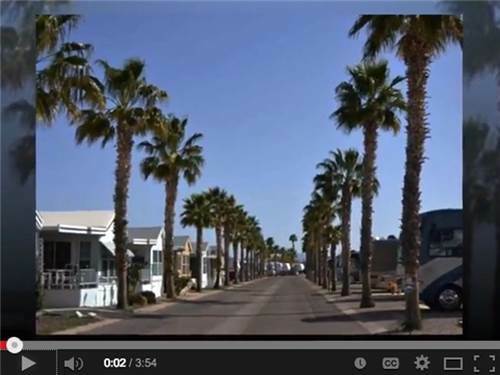 Located near shopping, restaurants and all that Tucson has to offer. 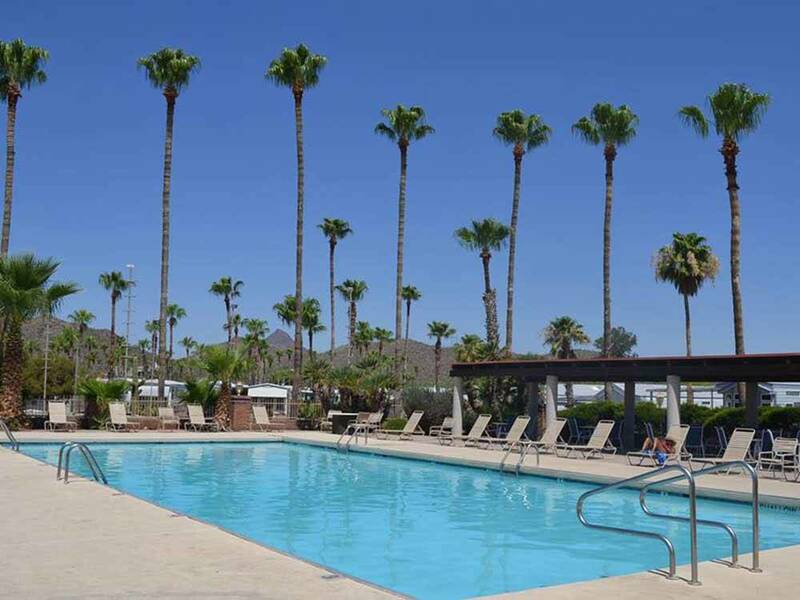 This 55+ gated community hosts an abundance of amenities including 2 fitness centers, WiFi & all the comforts you would expect from a world class resort. Hours of operation (closing at 4:00) are not good for traveling RVers. This park seems to be focused on permanent residents. Got to park a little after 5:00 after a 400+ mile drive and even though we had made a reservation and paid a reservation fee there was NO welcome packet and thus we had no wifi, no information about TV channels, etc. until we went to the Office the next morning. Besides we were directed to a site that was in the direct sun with temperatures over 100 degrees. There were other vacant sites that were shaded and we had to plead to get to move a short distance to a shaded site. We were told other rigs were coming in but in the several days we were there no new rigs arrived. We planned to stay at the park for three days and cut the visit short. My companion could never connect to the wifi and my speed was slow and spotty. We are new RVers and picked this site based upon the rating by Good Sam. Makes me wonder how these ratings come about. The showers and rest rooms were in good shape and clean and the front desk personnel, when they were finally opened, were friendly and apologized for the problems checking in but seemed like they would do nothing to solve the issue. Would not recommend this park. We spent 5 months during the winter of 2015-2016 at Rincon Country West. We have been fulltime RVers for 15 years and this is definitely one of the finest resorts we have stayed in. It is large, well landscaped, has lots of activities and entertainment, and very friendly people (both in management and other campers). There are over 70 clubs that one can participate in briefly or for a longer time. For example: quilting, bicycle riding, motorcycle riding, playcrafters (drama group), Villageaires (mixed chorus), digital image (photograph), wood lab, jewelry lab, etc. The monthly newsletter is about 40+ pages, so that gives you an idea On top of all this, Tucson has loads of cultural events, things to do, and the University of Arizona has its own set. There is just no way to be bored here. Million - dollar facilities and top of the line homes await your arrival. You'll love our resort lifestyle without resort fees. So many activities and live entertainment add to the fun in this award-winning resort. Enjoy superior live entertainment in the resort or immerse yourself in Tucson's colorful Southwestern culture. Take in a rodeo or museum, enjoy great Mexican food or shop for unique Southwestern items. It's all here for you.